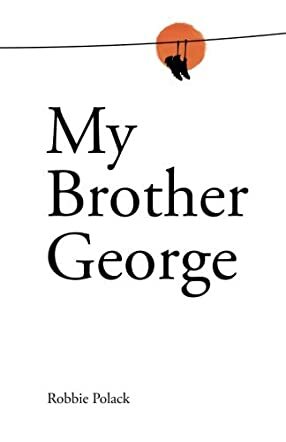 My Brother George by Robbie Polack is an emotive young adult coming of age novel that tells the heart-breaking story of two brothers whose childhood is marred by tragic events. John and George grow up in the care of their mother and a loving elderly neighbor. Even though their mother has to work odd jobs to support the family, their lives are not devoid of love and happy moments. Their world falls apart when their mother is diagnosed and passes on later. The boys leave the only home they have ever known and are accommodated in a home. Their lives continue but the memories they had of their earlier childhood remain. Then, George’s talent in football takes him away from his brother. Their struggles continue, yet both are determined to make a life for themselves. Unfortunately, disaster is never far away. Robbie Polack’s My Brother George is heart-breaking but also inspiring. Even though much of the story is fiction, the narration told in the first person provides a close view of the lives of the brothers, which makes it even more real. The pace is fast which makes this book an engrossing read. From the start, the story is suspenseful mostly because of its pace and the tragic events that happen along the way, which make the plot unpredictable. The main characters are determined and courageous and only when life becomes unbearable does their strength seem to waver. Their love for each other is inspiring as they face a cruel world together. My Brother George is thought provoking and stopped me at different points to ponder on and appreciate people’s circumstances and their moving stories.